THURSDAY MAY 16, 9:00 AM-12:00 PM – Kent State University Libraries, Kent. This workshop is designed for archivists with little or no prior experience with the management of digital records and objects. Instructors will cover basic concepts of digital preservation and electronic recordkeeping, and will provide multiple examples to illustrate concepts and challenges. Attendees will also engage in hands-on exercises designed to help them apply what they are learning to particular record types and varied scenarios. Limited to 30 per workshop. THURSDAY MAY 16, 2:00 PM-5:00 PM – Kent State University Libraries, Kent. The afternoon session is designed for archivists with some prior experience and comfort with the basics of electronic recordkeeping and digital archiving (as described in the morning session above). In this interactive afternoon session, we’ll dig into the complexities of decision-making for records retention, appraisal, digitization, and access. We’ll explore hot topics like email retention, archiving social media, and digital forensics, using tools like ePADD, Archive-It, and BitCurator, and look at various repository solutions for digital archiving. Finally, we’ll look at the National Digital Stewardship Alliance’s Levels of Digital Preservation and consider how to make progress with digital archiving goals, depending upon your repository’s resources and digital archiving requirements. Limited to 30 per workshop. SOA members: $30 for 1 workshop / $50 for 2 workshops; Nonmembers $35 for 1/$55 for 2; Students $25 for 1/$45 for 2. SOA members: $40 for 1 workshop / $60 for 2 workshops; Nonmembers $45 for 1/$65 for 2; Students $35 for 1/$55 for 2. Onsite Registration: No onsite workshop registration. Instructor: Dr. Karen F. Gracy is an associate professor in the School of Information at Kent State University. 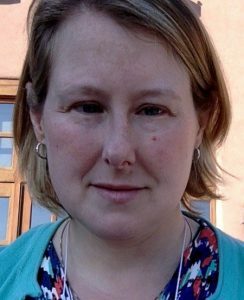 She teaches courses in the digital preservation and archival studies areas, with a particular interest in preservation of audiovisual resources. Dr. Gracy’s scholarly interests are found within the domain of cultural heritage stewardship, including applications of semantic technologies to improve description and access to archival materials. 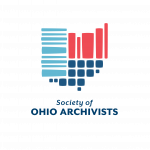 She is co-editor-in-chief of Preservation, Digital Technology and Culture, and recently edited Emerging Trends in Archival Science, a collection of research presented by scholars at the 2016 AERI conference held at Kent State. 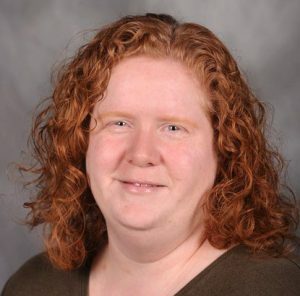 Instructor: Dr. Heather Soyka is an assistant professor at the Kent State University iSchool, teaching in the areas of archives and special collections. She has been an active member of the Society of American Archivists for over a decade, and currently serves on the editorial board for the American Archivist and as the co-chair of the annual SAA Research Forum. She completed her PhD in archival studies/library and information sciences at the University of Pittsburgh. This entry was posted in Conferences / Meetings, SOA Spring Conference, Workshops on March 20, 2019 by janet_carleton.